This is definitely my favorite! I love all of the swirly and curly here! an amazing santa!!!! oh wow!!! this looks beautiful!!! He is a phenomenal Santa! 😉 I hope he comes to visit my house! This is GORGEOUS, Krista! I love the bright colors and all the soft curves. He is definitely a wonderful phenomenon. 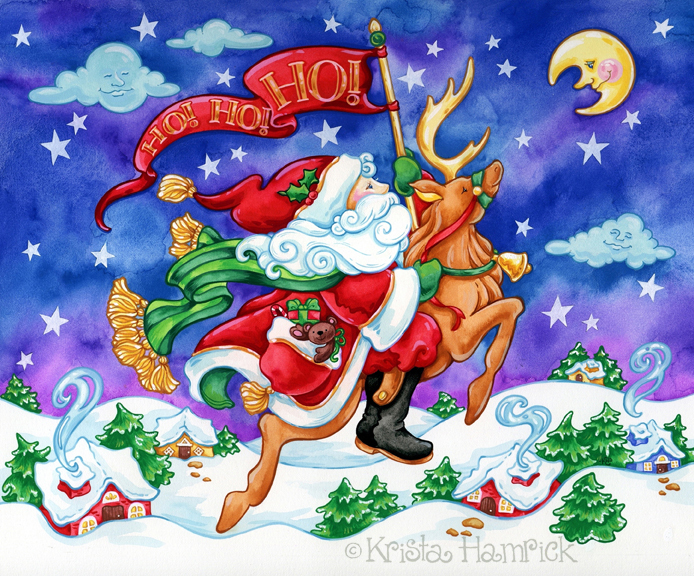 That’s really a very sweet Santa picture – very nice! Beautiful. Love the action and happy colors.